Please register for this event by calling 314.752.9224. Laura Benedict's suspense novel is Bliss House, praised as "Eerie, seductive, and suspenseful," by Edgar Award-winner Meg Gardiner. Laura is also the author of Devil's Oven, a modern Frankenstein tale. A Cincinnati native, Laura grew up in Louisville, Kentucky and lives with her family in the southern wilds of the Midwest. Heather Brewer grew up on a diet of Twilight Zone and books by Stephen King. She chased them down with every drop of horror she could find - in books, movie theaters, on television. Heather doesn't believe in happy endings...unless they involve blood. She lives in St. Louis with her husband and two children. John Dalton is a graduate of the Iowa Writers' Workshop. His first novel, Heaven Lake, won the Barnes and Noble 2004 Discover Award. He grew up outside St. Louis, and has lived in Taiwan, Iowa, Massachusetts, and North Carolina. Presently he is director of the University of Missouri-St. Louis MFA program. Irene Hannon is the bestselling author of more than forty romantic suspense and contemporary romance novels, including the Heroes of Quantico and Guardians of Justice series. Her books have been honored with two RITA Awards, a Carol award, and two HOLT Medallions, among others. She lives in Missouri. Irene Hannon's book Driftwood Bay is currently available from LibraryThing Early Reviewers. Irene Hannon's book Hidden Peril is currently available from LibraryThing Early Reviewers. Irene Hannon's book Pelican Point was available from LibraryThing Early Reviewers. Irene Hannon's book Dangerous Illusions was available from LibraryThing Early Reviewers. Irene Hannon's book Sandpiper Cove was available from LibraryThing Early Reviewers. 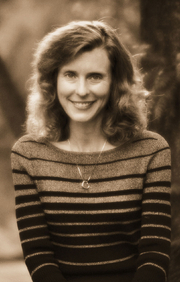 Irene Hannon is currently considered a "single author." If one or more works are by a distinct, homonymous authors, go ahead and split the author. Irene Hannon is composed of 4 names. You can examine and separate out names.